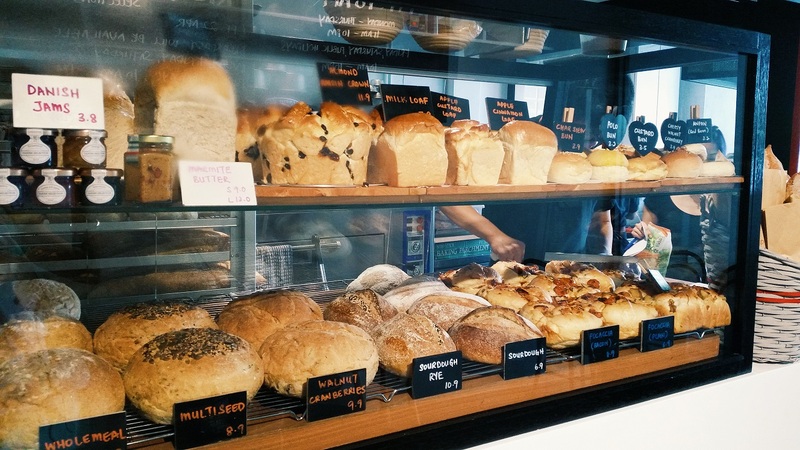 Located in Taman Bukit Desa, Red Kettle has been inspiring many to drop by and enjoy their aroma from their in-house bakery but also to experiment on their exclusive menu of delicious edibles. Instead of a normal push and pull door, they have a sliding one in its place to encourage muscle movement; but more importantly to create a different concept to their humble restaurant and bakery. 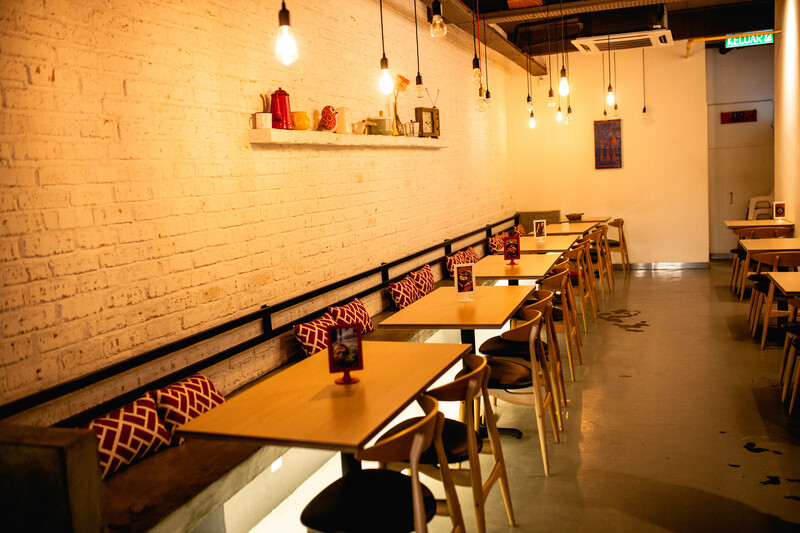 Stepping into the place, you are definitely able to feel at home with their simple décor as well as their comfortable couch seats leaning against the wall at the second end of the restaurant. The cozy arrangement is spot-on with wooden tables and steel chairs. You are greeted with a small part of their bar while the other section is already the bakery. Taking up about the center section of the restaurant is where you can see different types of homemade bread, cookies, tarts and cakes. Their menu is separated into breakfast and the heavy meals where breakfast is only served on Fridays and the weekends, as well as the public holidays because they will open slightly earlier than their usual business time. Check out their Malaysian pancakes which they whipped up the batter themselves as well. With a simple font and minimalist design to their menu, it is easier to decide on what kind of food would you want to have. The ones that are spicy are indicated with a mini red chili on the side and all their burgers and sandwiches are served with sides as indicated. Because they make their own bread and patties, you can be certain you will be given beautifully made burgers and toasty sandwiches. 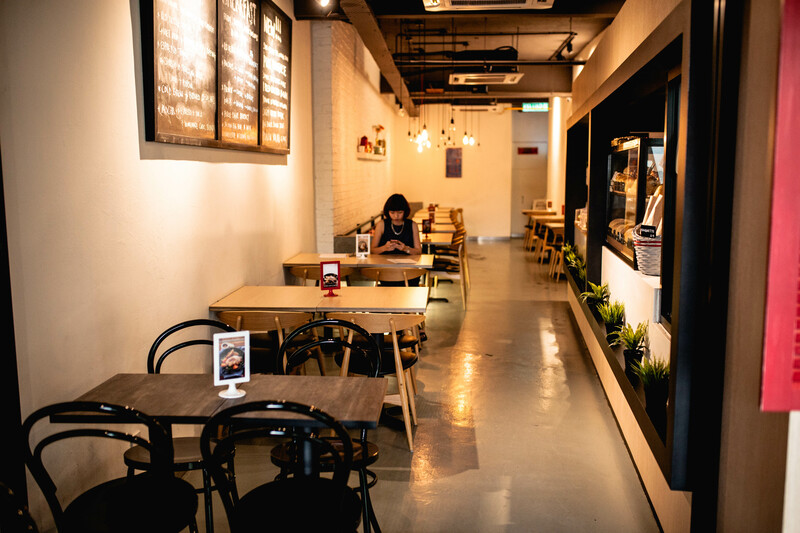 The coffee is their signature creation with their specialty being their Vietnamese Coffee drip. If you feel like having some desserts, they have their soft serve ice cream which are available in vanilla or chocolate. Besides those, they also have their daily cakes on display so go ahead and check them out!